Since cardigans are one of my ultimate obssessions I thought it would be appropriate to make them the subject of my next wishlist. I’m aware that I haven’t offered much variety in my wishlists so far but when it comes to cardigans Alannah Hill, in my opinion, is unrivalled. If finances permit, it is Alannah Hill all the way! I also adore the quality; many of her cardigans are 100% wool which I rarely find in other stores. Above all, I love the rush of excitment I feel when I purchase one of these beautiful, girly items from the shops. Here are my favourite four (that I don’t already own). This cardigan is even more stunning in real life than in the photos. I almost bought it recently in the sales but they didn’t have my size. I was contemplating purchasing it in the size up but I decided against it since a tight fit is important to me. It was very sad! I love the floral pattern. That is an aspect that I am incapable of replicating in my own customisation project since it is printed onto the cardigan. I also love the detailing of the little jewels. So sweet. The buttons are incredible and make such a statement. This is the perfect cardigan! I love the flowers on this cardigan; they are so pretty and beautiful. The changing colour gradient is very cool too and I think it works well against the navy blue background. My mother in law showed me how to sew the little flowers onto this sort of cardigan but I am very bad at it. It will take a lot more practice before I am able to replicate this; one day I hope to own this sort of cardigan. What is there not to love about stripes? I could never have too many stripes in my wardrobe. At the moment pink and green is one of my favourite colour combinations and I think it works well with the black too. This cardigan would be very versatile; I can already think of a range of skirts and jeans that this would work well with. The green jewel like buttons are really lovely too. To me, this is the ultimate girly girl cardigan! It’s so pink and that is why I love it. I believe this cardigan reflects my style perfectly. 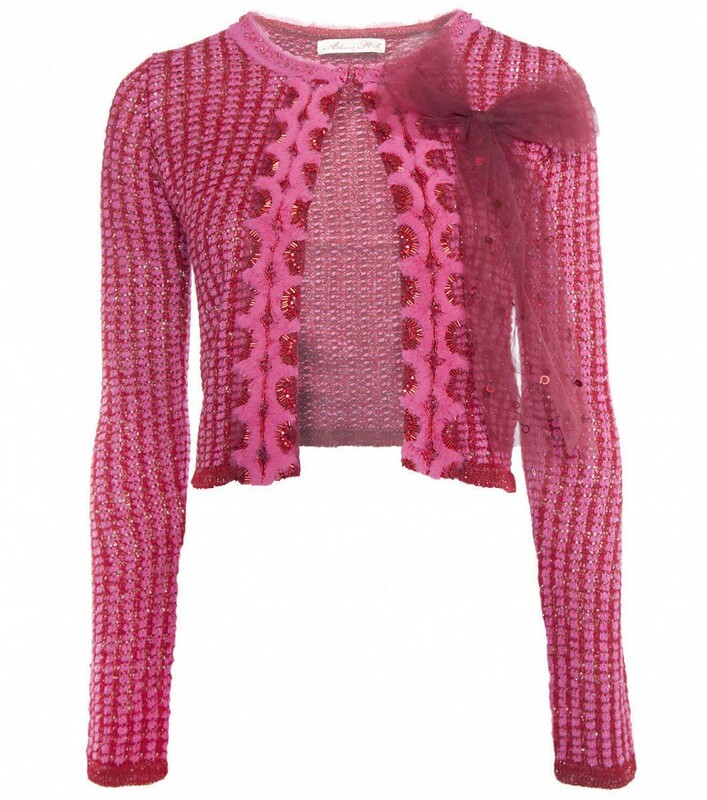 With so much pink, an oversized bow and pretty sparkly detailing, what more could I possibly want in a cardigan? Again, this cardigan is much more stunning and gorgeous in real life than in the pictures. It is extremely special. I would be exstatically happy if I was ever so lucky to own this cardigan. Thanks for your comments on my last post. I’m a lot better now. I am always on the look out for cute cardigans. They're so perfect to add on top of dresses during summer evenings. I love the colour block one. Im in love with the real girls cardi, pure perfection. I love the striped cardigan, I'm obsessed with stripes at the minute – great choices as usual! Don't forget to enter my Very First Giveaway – Fashion, Well Done its open internationally! That second one is gorgeous and would totally be suitable for the Jubilee celebrations! Glad you are a bit better now! I love, love the first one. Are you feeling better then??? I haven't purchased a new cardigan in quite some time now, and I am in withdrawal. They really come in handy in the summer because of the air-conditioning in my office. These cardigans are so cute, ugh I need more cardigans for summer!! I love all of your choices! Cardigans are one of my favorite items of clothing, they are so versitile. That red white and blue cardi is adorable! I think it is my favorite by far. Ooh beautiful choices, love them all! Hi Imogen – it's been a while, I've been off – so I've been missing your cool and creative outift posts. I love the all the real girls cardi the best! 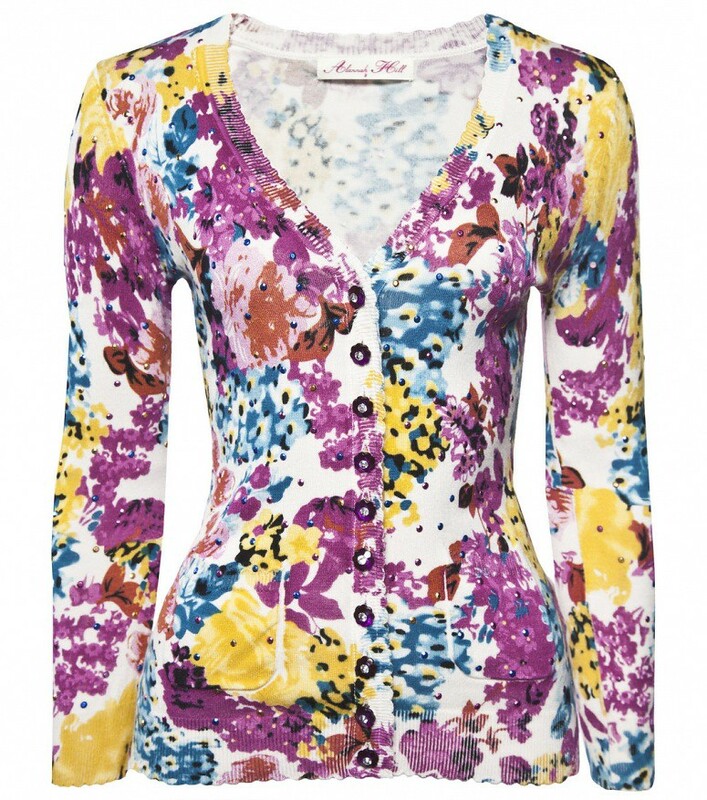 Oooh I am loving the Alannah Hill cardigan. I swear by cardigans too, they're the best layering piece!